Goa has a vibrant history and is quite significant in the historical legacy of India. The Hindu scriptures say that Goa was created when the sixth incarnation of Lord Vishnu, known as Parashuram shot an arrow from his bow at the sea asking it to recede. Thus, a small patch of land was revealed after the sea receded and Goa was created. This wonderful patch of land was beautiful to look at with swaying coconut trees, golden sands and turquoise blue seas. This is a very common folklore associated with the Goan history. over his region and his empire was fragmented. Goa was made a major maritime power during the empire of Kadambas in the 10th century. Their rule lasted for 300 years and Goa was their main trade center. Goa had a turbulent phase under the rule of the Delhi Sultanate during the year 1356. But it gained stability during the rule of Vijayanagar kingdom that lasted for a century. During the 15th century, the Portuguese discovered Goa when they were busy spreading Christianity and searching for new trade routes. They landed near Calicut in Kerala around 1498. They were unable to get a foothold in Kerala and thus proceeded a bit towards north and captured Goa. Within no time, they spread their rule all over Goa and established themselves as the supreme power over the trade route of Goa near the sea. As time passed by, Goa became the hub of Portuguese empire all over Asia. 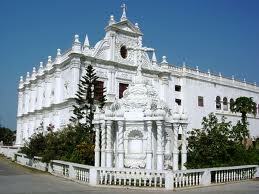 The capital city of the Portuguese was Old Goa which was a wealthy and prosperous center. This attracted many Portuguese immigrants who came to Goa and settled there. At the end of the 16th century, the population of Goa surpassed that of Paris and London! The vast natural resources, immense wealth and monopoly over trade routes resulted in the increase of population and expansion of the Portuguese colony towards further east. They even wanted a separate rule and started a movement for that. Even after the British rule in India ended in 1947, the Portuguese held control. Finally in 1961 a movement was started to grant Goa independence. Finally Goa was declared a union territory administered by central government of India on 30th May 1987. 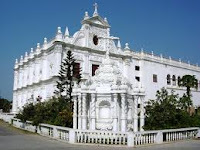 Thus Goa has a unique amalgamation of Hindu, Muslim and Catholic cultural elements in its tradition. Yet it has held on tightly to its own Konkani heredity and is a thriving state today.